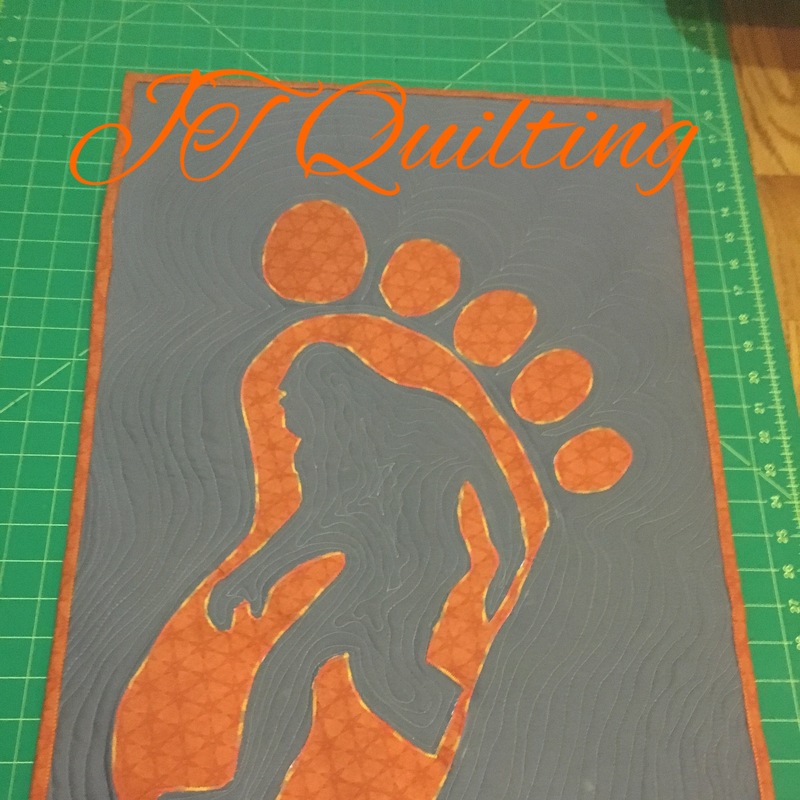 I know it’s been a little while since my last post, it’s been crazy busy with building and deciding what new designs to complete for quilting. So I will start off with an adorable mini wallhanging or table topper I designed after are cat butterball, I seen his paw print on are counter in the kitchen and inspiration struck so I pulled some leapord print fabric paired it with Kona cream fabric and made a huge cat paw it turned out so cute. 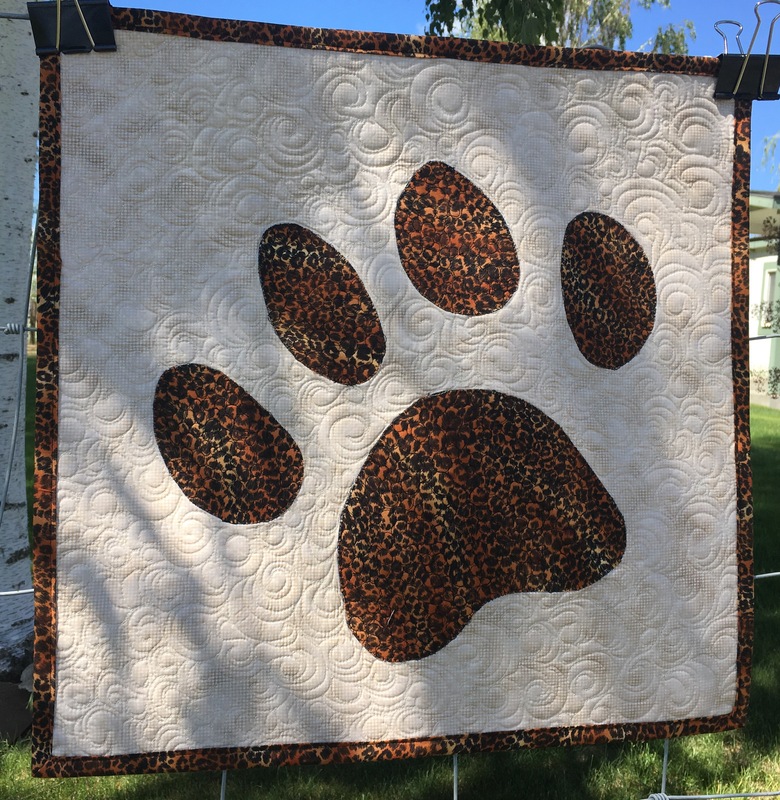 I then appliquéd the paw design on my Kona cream fabric and stabilized the backing fabric then went around the the design with a satin stitch I top quilted it with echoing swirls. 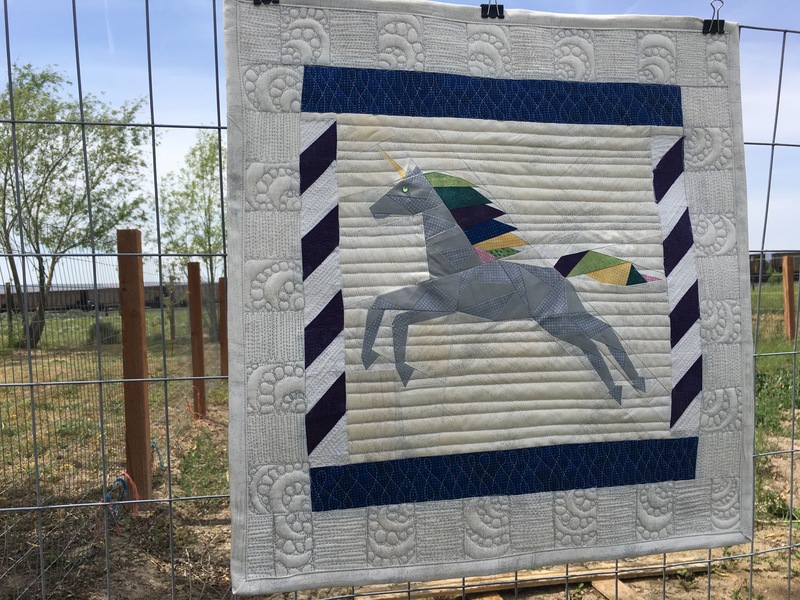 The next mini quilt is my favorite it’s of a Unicorn the pattern is designed by an IG designer QuietPlay I absolutely love her patterns so naturally, I had to make this one I put a rainbow of colors in it from In The Beginning Fabric paired it with Moda vanilla cream Grunge fabric it turned out awesome! I then top quilted it with pebbling and half moons!! I’m currently working on a pattern design for my BigFoot pattern I’m working out the details so I then can sell it in my Etsy shop! !